The hill resort of Patnitop is most suitable for the long walks in the lush green forest tracks where the chirping of birds, cool mountain breeze, panoramic beauty of the Chenab basin and never hot weather reinvigorates the souls of the people from plains and relieves the urbanites from the maddening crowd and hullabaloo of their cities. This charming plateau is situated 110 kilometers from Jammu along the Jammu-Srinagar National Highway, at an altitude of 6,640 feet. It is also the highest point on the highway. Patnitop was only discovered in the 20th century, as compared to other hill stations of the state that had been discovered centuries ago. The unspoiled beauty of this resort, well guarded by the Patnitop Development Authority, invites the world wide travelers to have a fun filled holiday on this hill station and explore the adventure, cultural, religious and recreational tourism options that are very unique to this place. Patnitop is a place that can be visited all round the year. Cool and bracing in the heights of summer, it is hot destination during winters as well, when it is covered by the snow blanket. Whatever the season may be, there is no competitor to its serenity. The bewitching sight of cedar woods and lush green mountains in summer is replaced by the beauty of snow covered mountains. It will be a breath taking experience to have a sight of the snow mountains turning golden in color at the time of sun set. Similarly you will be stunned by the vistas of the Chenab Gorge, that Patnitop offers from its excellent vantage points. Being only five kilometers in area, it is always easy to walk and explore the untrodden ways, if you wish there are ponies on hire and you can enjoy a horse ride while visiting the nearby spots, most of the place can be approached by car. For the travelers the must visit spots are Chinar Garden, Picnic Spot and Skating Park. The three gushing ice cold water springs with the medicinal properties located in the area is the ideal place to have a bath that is really very beneficial for your skin. Plan your holidays to this place and enjoy the natures endowments. There is no denial to the fact that Patnitop is the ideal place to have a pleasant walk in the verdant woods and hear the winds soughing through cedar woods. Heaven for trekkers, there are paths for long as well as short trek to the nearby mountains. If you are an ace trekker go to Kud or Batote otherwise you can have a shot trek to Shiv Garh that is 11 km away and Madha Top, the ridge opposite to Patnitop. 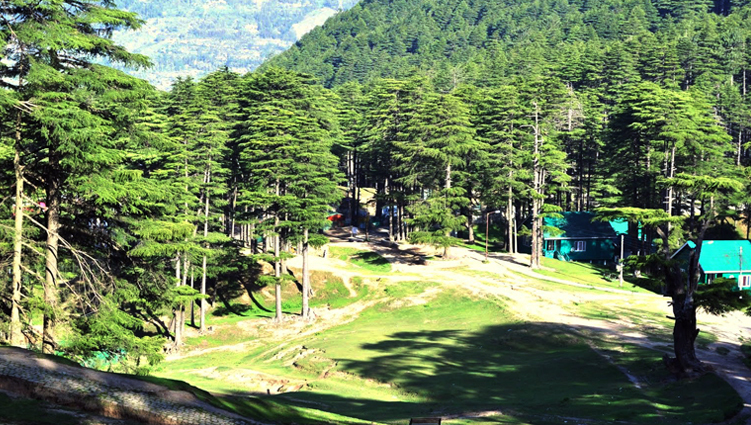 Sansar also known as Mini Gulmarg is a grassy meadow fringed by fir trees and offer the adventurous Aerosports. The 9 hole golf course adds charm to this place. During winters you can get an opportunity to learn basic skiing at Patnitop, enjoy sledging, make snowmen and have a snowball fight with your friends.